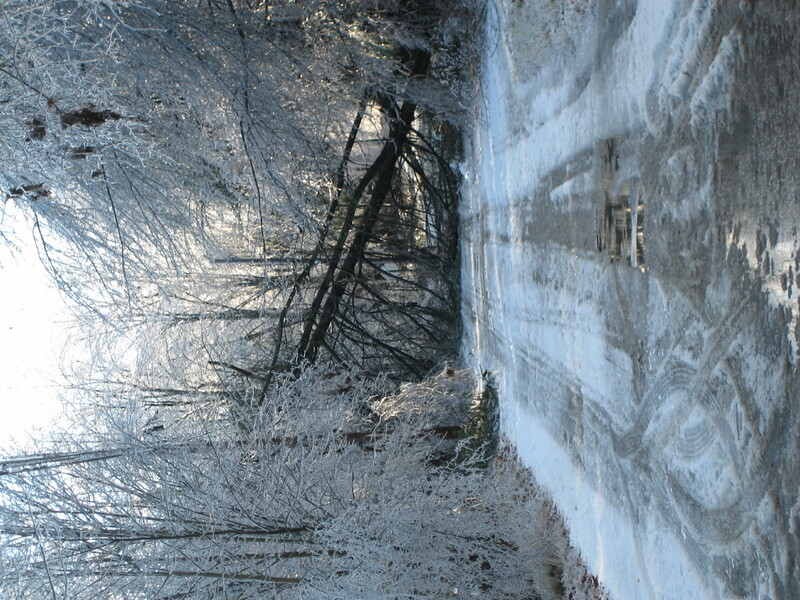 When an ice storm hit New England and Upstate New York on December 11, 2008 more than 1.25 million customers lost power, some for as long as two weeks. 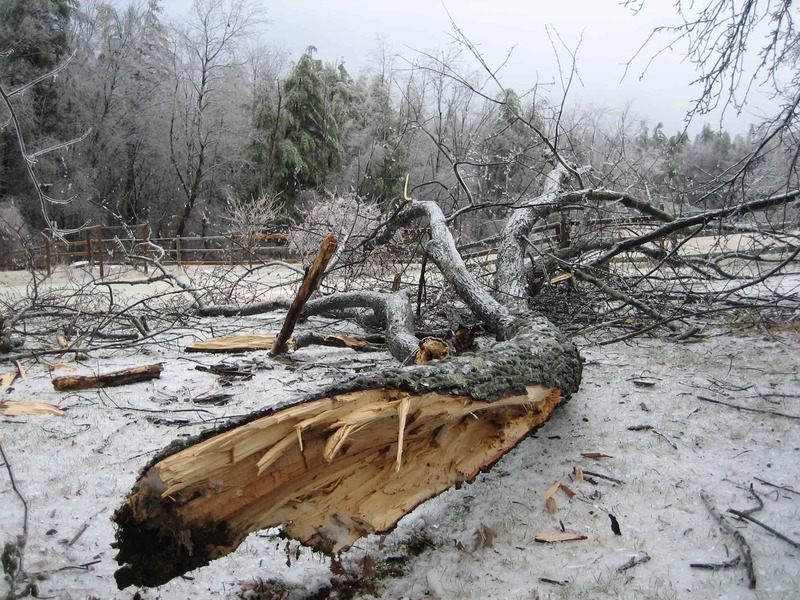 For New Hampshire, where we live, it was the worst natural disaster in the state’s history. 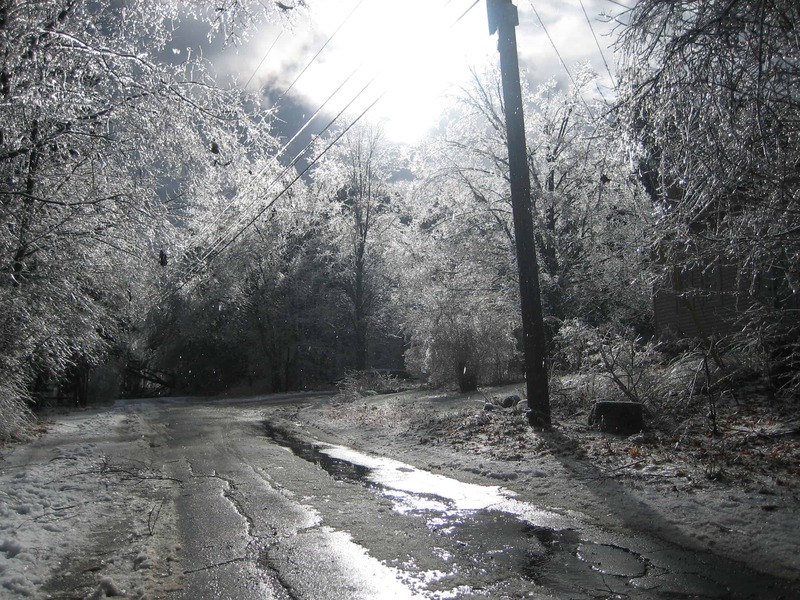 I learned many lessons in the Ice Storm, practical lessons about disasters and lasting lessons about ordinary days. Huge tree limbs smashed down around our house, some slamming the roof, waking us in the night. 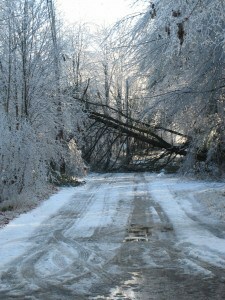 Telephone poles snapped, roads were blocked for a week or more. Our world was upended and reorganized by the disaster. Our lives revolved around feeding the woodstove, fetching water, and cutting up the tangle of fallen tree limbs. For six days I was never without a small pocket flashlight. Our kitchen looked like a testing lab for candles. We lost power during the shortest days of the year. By 4:30 it was dark; bedtime came early. We rose and it was still dark. We were living in the dark depths of the ocean. I am reminded of when my wife returned from seeing the mountain gorillas in Rwanda. A friend had seen that same troop on TV. He kept interrupting her. He’d seen it on TV — he’d been there. We sat watching the fire one night. One log had a play of colors that was like lightning in the jungle, or the play of lightning across the earth when seen from space. The entire fire box glowed red. Along a cleft of one small log that glowed red too, the lights would flash – blue and yellow on the left, and yellow-green along the fissure. The flames danced in a regular pattern as it moved along the split. The yellow-green dancing up, rolling down, dancing up. The blue-green flashing at the end. Stunning. We were going to go for a walk, but we just sat watching. My wife said that it looked like the Aurora Borealis. Another spirit was in our house. I felt it when I was upstairs as I closed the doors to chase the heat to the bedroom. There’s a tinge of wood smoke in the house and muted light – shadowy rooms lit only by daylight and moonlight. This house may have felt like this back in the 1880s and 1890s. Electricity power dominates our homes, obscuring quiet, daylight, and attention to the mundane. 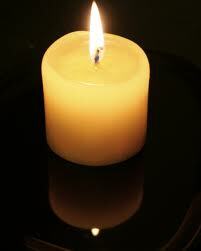 Without electricity, the basics of shelter require our attention. We are reintroduced to once-common chores. Each day presents itself with a demanding fullness. Without electricity we are quiet enough, still enough, to see the blue-green flashing of one burning log. We gather a “nail soup” supper. Our neighbor brings over two quiches to cook in our stove, one for us. We have a gas stove; they have a generator keeping their well pump, furnace, and a few lights on. Would we like to eat it over there? We gladly accept. My wife adds a pie to the dinner. She’s been baking constantly to heat the kitchen. By the time we arrive for dinner, two other friends have been invited. They’ll bring spaghetti and bread. It’s a wonderful, loopy, sideways dinner. Normally we’d never eat out on a week night. We’d be glued to our computers. This evening is a gift of found time. Another way that the storm has reshuffled our lives. Be prepared … but how? * The perfect is the enemy of the good. We had investigated buying a generator years ago, but each option had its weaknesses, so we did nothing. Trying for the best, cover-all-contingencies plan, and failing to find that, can leave you with nothing. In other words, half a loaf is a feast in a disaster. * Low Tech is Robust. All over town neighbors checked on each other We looked in on neighbors who are in their 80s. How were they doing? Oh fine. They had wood heat, of course, and they had water. They still had the hand pump at their (c.1790) house. A hand pump! We sat by the fire and marveled at the wonders of low tech. You can keep your Next Big Thing, touch-screen, satellite-guided, digital wonder. The last shall be first. Old technology may be out of fashion, but it is only dormant, it’s the lifeboat on the big ship. We dwell in electricity – we dwell in what it makes possible: noise and image. Electricity drives the shadows and silences out of a house. It frees us from weighing each choice – a light, a flush, more heat. It allows us to live in the world of information and image, shortchanging the here and now. 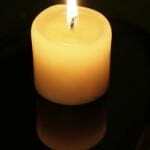 When the power was off, we were returned to the world.